Love the concentric circles and teardrops of these earrings. The circles offer all of the beauty of hoop earrings and the teardrops move and turn within each graduating size. 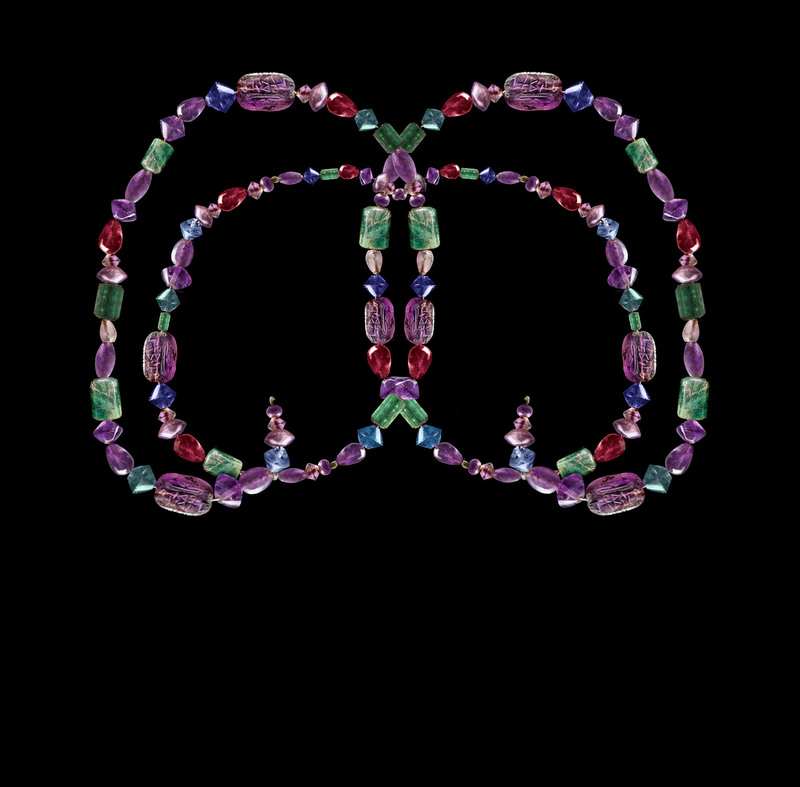 You will learn the proper technique to create movement in your own earrings. 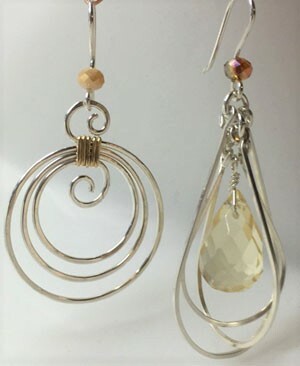 We will use sterling silver with a touch of gold filled wire to create these beautiful earrings. Class fee includes all material, a complete photographed tutorial with step by step instructions and the use of instructors tools while in class.